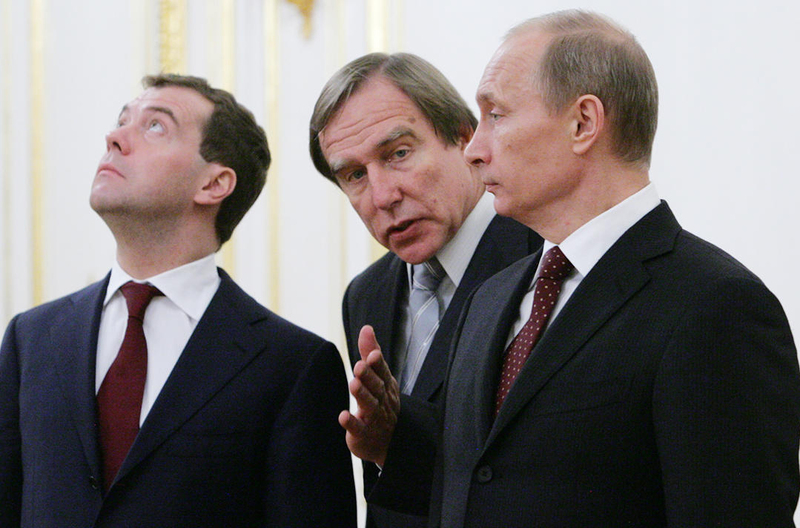 Banking records obtained by OCCRP show that cellist Sergei Roldugin, Russian President Vladimir Putin’s old friend, received money from an offshore company at about the same time it was being used to steal money from the Russian government in the notorious Sergei Magnitsky case. The Magnitsky case involved the theft of US$ 230 million from the Russian Treasury and is one of the largest tax fraud cases in Putin’s Russia. The crime was uncovered in 2007 by Magnitsky, a Russian lawyer who was working for Hermitage Capital Management, then the biggest foreign investor in Russia. Magnitsky was arrested by the same police officers whom he accused of covering up the fraud. He was thrown into jail, where he died of mistreatment and inadequate medical care. Despite his death, the government of Russia continued to prosecute him. A commercial contract from May of 2008, obtained by OCCRP from the Panama Papers, indicates that International Media Overseas SA (IMO), a Panama company which at the time was solely owned by Roldugin, sold 70,000 shares of Rosneft, a large state company, for a bit more than US$ 800,000 to a British Virgin Islands (BVI) corporation, Delco Networks SA (Delco). The shares were paid for with money transferred from Delco’s bank account in the Lithuanian bank UKIO Bankas to Roldugin’s IMO bank account in the Zurich branch of Gazprombank (Switzerland) formerly known as the Russian Commercial Bank (Zurich). The contract was buried in the Panama Papers, a trove of internal data of Mossack Fonseca, a Panamanian legal firm doing business in offshore tax havens for clients who want to hide their identities and/or holdings. The data was obtained by the German newspaper Süddeutsche Zeitung and shared by the International Consortium of Investigative Journalists with OCCRP and more than 100 media partners from 76 countries. Delco and its associated companies were likely part of a large offshore money laundering network, dubbed the Proxy Platform, set up by organized crime and involving companies and bank accounts in Russia, Moldova, the United Kingdom (UK), Latvia and offshore tax havens that was used by the Russian government and numerous crime gangs to steal or launder money, evade taxes and pay bribes. After the money was fraudulently taken from the Russian treasury, it disappeared into a series of paper companies in early 2008. Two of those companies were the Moldovan-registered Elenast-Com SRL, located in a Communist-era block of flats, and Bunicon-Impex SRL, which claimed headquarters in an abandoned building in Chisinau. Elenast and Bunicon sent a share of the stolen money in February 2008 to a BVI company, Vanterey Union Inc., which then wired funds to Roberta Transit LLP, a UK- based company. Roberta Transit, in turn, sent that money along with money from other related companies (US$ 2 million in all) to Delco. The payments flowed in quick succession, all of them reaching Delco in the same month. Besides Vanterey, three other companies used in the Magnitsky case–Protectron Company Inc., Wagnest Ltd., and Zarina Group Inc.–also sent funds to Roberta Transit. Like Vanterey, Zarina Group also received money from the two Moldovan paper companies in February 2008. Two months later, Delco purchased the Rosneft shares from Roldugin, sending the cellist’s company US$ 800,000 in May, 2008. Roberta Transit, which was dissolved in 2009, was set up as an opaque limited liability partnership between two BVI-registered companies: Milltown Corporate Services and Ireland & Overseas Acquisitions Ltd. These two BVI companies played a role in frauds in the arms trade, pharmaceuticals and other businesses. The two Moldovan companies, Elenast and Bunicon, were also involved in a number of other Magnitsky related transfers. Money that went through their accounts ended up invested in luxury apartments in the heart of the Wall Street area of New York City. Those apartments are currently under a seizure order by the US government. The Moldovan companies also had bank accounts in Banca de Economii a Moldovei, a bank which was shut down in 2015 after being used in one of the biggest frauds in Moldova’s history – the theft of US$ 1 billion from three banks. Vanterey, Roberta and Delco used bank accounts at the Lithuanian-based UKIO Bankas, which was also shut down in early 2013. Lithuanian banking authorities closed the bank due to its poor financial standing in early 2013. Its main shareholder, Vladimir Romanov, fled the country. Suspected of widespread embezzlement, Romanov was granted asylum in Russia in 2014. Roldugin has told Russian media that the money was donations from Russian businessmen which he used to purchase expensive musical instruments. Russian officials, however, seemed to acknowledge that the state had in fact knowingly used the criminal networks, including possibly Roldugin’s offshores. Earlier this month on Vesti Nedeli, a Russian television program, in an interview with Roldugin, the program revealed a claim allegedly by officials in the Russian government that the network of offshores might have been used to foil a 2008 plot by the CIA to buy Russia’s cable television network. OCCRP could not independently verify the claims and Roldugin could not be reached for comment.